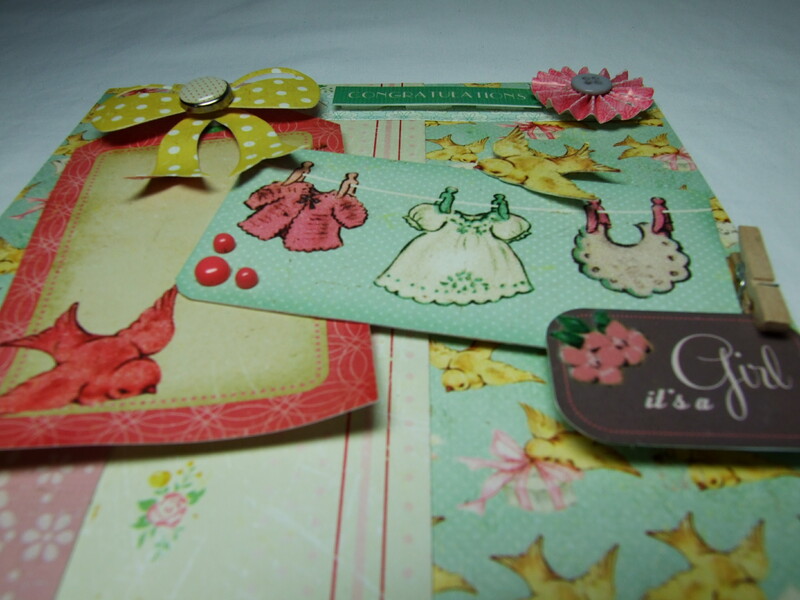 I used Crate Paper – ‘Little Bo Peep’ collection which has a lovely 50’s feel to it, Frantic Stamper bow die and a WRMK Corner Chomper. < Previous A Bit of all – white…..
Sweet little girly clothes hanging on the line! Those baby clothes are just so sweet! Such fun colours too! This is a fantastic creation! 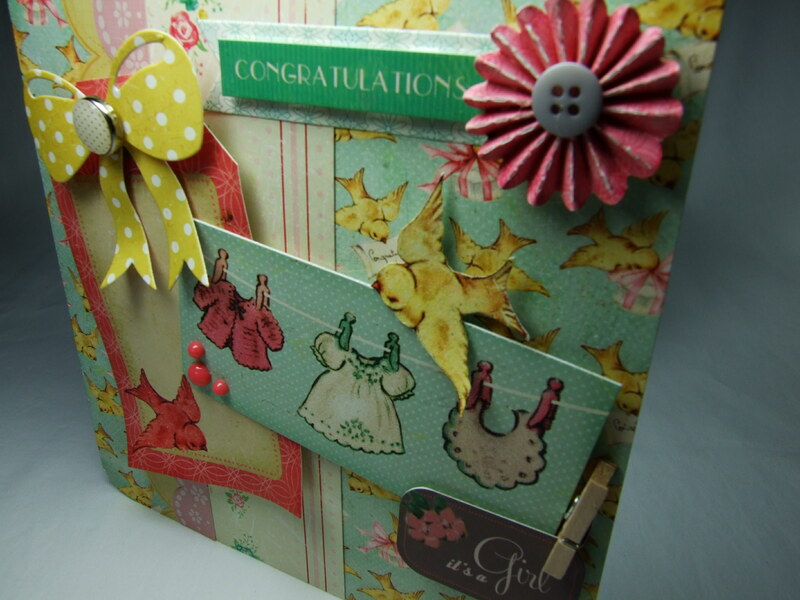 I love your use of designer paper! It’s lovely. 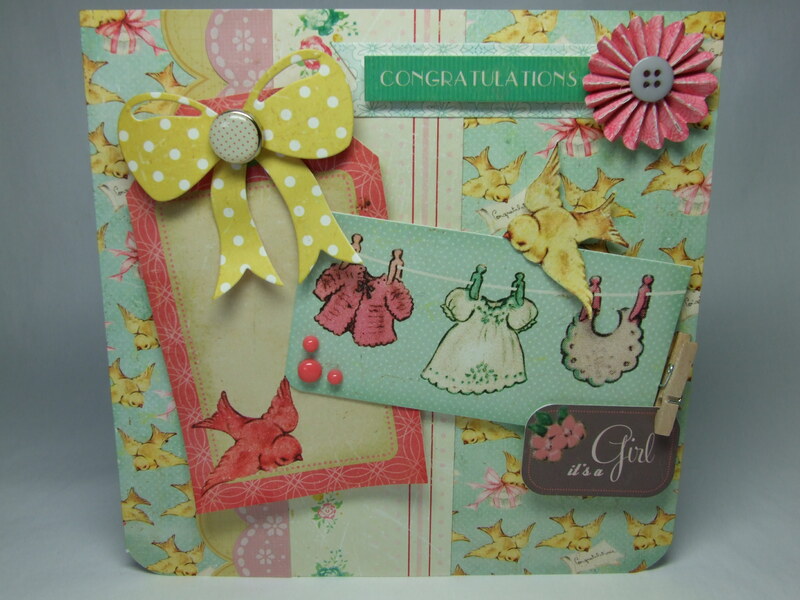 What a sweet baby girl card!